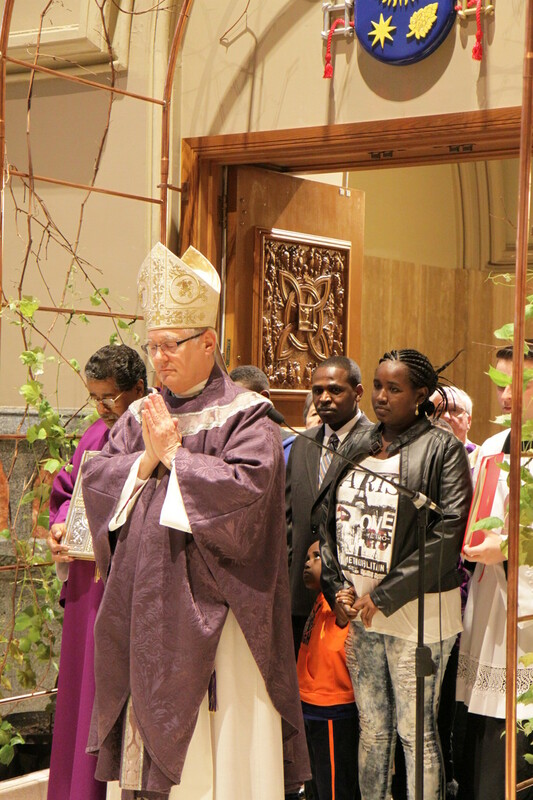 Bishop Tobin opened our Holy Door in December of last year. We know when he sinned. There’s no question about that: He sinned on Holy Thursday night in the courtyard of the high priest, when he denied Jesus three times. But when exactly did he receive forgiveness for those terrible sins? But I would disagree. I would say that Peter had been forgiven by Jesus long before he had this discussion with our Lord. In fact, I would maintain that the words Jesus spoke from the cross—“Father, forgive them, they don’t know what they are doing”—didn’t just apply to our Lord’s enemies. They also applied to his friends who had abandoned him and who had betrayed him—especially Peter! This story, therefore, is not about forgiveness, since Peter had already experienced that grace—that gift—from Jesus. Rather the story is about reparation: it’s about Peter making reparation for sins—three sins—three terrible sins—that he had already been forgiven for. The need that we have as human beings to make reparation for our forgiven sins—either here on earth or in purgatory—is something that many Catholics seem to be unaware of these days. To make reparation basically means “to make amends”—to make amends by trying as best we can to undo the negative consequences that our sins have caused (especially in the lives of others). That means if you steal $100 from somebody, it’s not enough to go to confession and confess the sin to a priest. You also have to give back the hundred bucks! In today’s gospel story Jesus helps Peter to make reparation for his three denials on Holy Thursday night by giving him an opportunity to profess his love three times. That’s really what’s going on here. Peter had committed three separate offences against our Lord, consequently he needed to make reparation for those sins with three separate professions of love for our Lord. One way for us to make reparation for our sins is through prayer. This is why, when I give a penance of prayers to a person in the sacrament of Reconciliation, I will never just say, “Pray x-number of Hail Marys.” I’ll normally say, “Pray x-number of Hail Marys for the people you have hurt by your sins.” Or maybe I’ll ask the penitent to pray for one or two of the people that he or she mentioned during the confession. (It depends on how the Spirit moves me.) But in either case it’s what I would call a “targeted penance”—meaning that I ask the person to pray for specific individuals, as an act of reparation for the sins that the person committed against those individuals. This is also where indulgences come into the picture. Some Catholics think that the Church dropped its belief in indulgences after the Second Vatican Council—but that’s not true! The Church still believes in indulgences because the Church has always believed—and will always believe—in the need people have to make reparation for their sins. In fact, that’s basically what indulgences are all about: they’re about the saints in heaven helping those of us still here on earth (as well as the souls currently in purgatory) to make reparation. Here’s how I would explain it: the prayers that the saints said and the good works that they performed during their earthly lives resulted in a lot of what you might call “reparation grace”—far more than they themselves needed. So God allows them to share those graces with all of us through indulgences. And that’s very good news because these graces can help to lessen our need for purgatory—or eliminate it altogether! I’m sure many of you already know that a plenary indulgence (which totally eliminates the need for us to make reparation for our past sins) can be obtained during this Jubilee Year of Mercy by passing through one of the officially designated “Holy Doors”. Every cathedral in the world (including ours in Providence) has one, as do a number of special shrines. That last requirement is the most difficult one to fulfill, and it’s the reason why most people who try to obtain a plenary indulgence for their forgiven sins do not end up receiving it. Most people—even very good people—still have at least some attachment to their favorite sins in their hearts. I read a story once about St. Philip Neri, who lived back in the 16th century. One day, as he was preaching a jubilee indulgence in a very crowded church, he received a private revelation from the Lord. In that revelation God indicated to him that only he and an old cleaning woman who was there in attendance were actually receiving a plenary (or full) indulgence. Of course, many of the people in the church for that service probably did receive a partial indulgence—which is still very good. And this is why we should make plans to take a little trip to the Cathedral of Saints Peter and Paul in Providence sometime soon, pass through the Holy Door that’s there, and then fulfill the other requirements for the plenary indulgence—even if we only end up receiving a partial one. It will eliminate at least some of the reparation we need to make for our sins—or it will help a deceased relative or friend make some of their reparation, since we can apply indulgences either to ourselves or to souls in purgatory. When Peter was given the chance to make reparation for his three denials of Jesus on Holy Thursday night, he made the most of it. He took full advantage of the opportunity the Lord gave him to make amends for what he had done. May we do the same with respect to our own personal sins during this Jubilee Year of Mercy. Instead of sharing the Good News (capital G, capital N) with you in my homily today, I have some good news (small g, small n) to share: as of July 1st we will be getting some full-time, priestly help here at St Pius X. This is something that I’ve desired for a long time—and I know many of you have as well. Bishop Tobin and Bishop Evans also agree that this should take place. 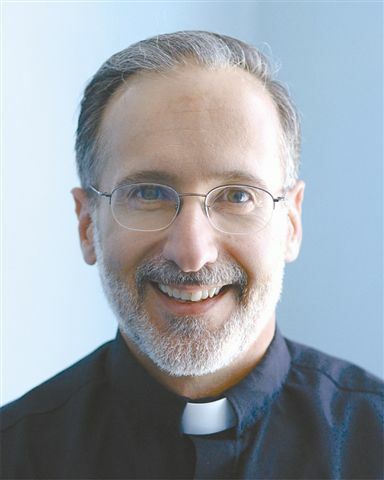 And you’ll be very happy to know who will be coming here to be with us: Fr Mike Najim, who was once a student at St. Pius X School, as well as an altar boy here and a member of my youth group when I came to St. Pius 28 years ago. Presently he’s the spiritual director at the diocesan seminary in Providence and the Catholic chaplain at LaSalle Academy. The other bit of news is that he’s not coming here as the assistant; he’s coming here to be the pastor—and that pleases me greatly, because Fr Najim has the same spiritual outlook that I have, and he works very well with young people (which are two big priorities for me, pastorally speaking—qualities I always hoped and prayed would be present in my successor). But I will be staying here in residence to continue doing what I have been doing in my priestly ministry. You can’t get rid of me that easily! Of course, the good news for me is that with this arrangement I won’t have to worry about administrative issues anymore (like paying the bills and dealing with contractors and insurance companies, etc.). I’ll leave those things now to the young guy. As Bishop Tobin and I see it, this decision is a “win” for everybody. It’s a win for the people of the parish because they get the services of 2 priests; it’s a win for Fr Najim because he gets his first pastorate in a town that he loves; and it’s a win for me because I get to stay “home”. Yes, I was born and raised in Barrington and in Holy Angels parish, but after 28 blest years my heart is here in Westerly and in this parish. This is home. And now I get to channel all of my energies into my priestly work, and don’t have to use part of my energy for administration—which will definitely have a positive effect on my battle with Parkinson’s Disease, since the symptoms of Parkinson’s always get worse with stress. And administrative work, without question, causes stress. Just ask any pastor! One footnote to all this: when you see these assignments posted in the RI Catholic within the next few weeks, it will say that my status is “retired”. Please understand, this does not mean I’m slowing down! I’ve got plenty of mileage left in me. This is being done for a very practical reason. 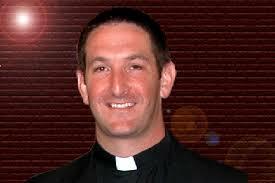 St. Pius X parish cannot afford to pay the salaries of two full-time priests at the present time. But if I’m designated as “retired”, the diocese will be responsible for paying my salary, medical benefits, etc. So they’ll pay the tab, and you—and any other place I help out in—will reap the benefits. Bishop Tobin has called St. Pius “a spiritual powerhouse” in the Diocese of Providence. May these upcoming changes make our parish even stronger spiritually, and help us to be a place where many more men and women are drawn to Jesus Christ and added to our number.